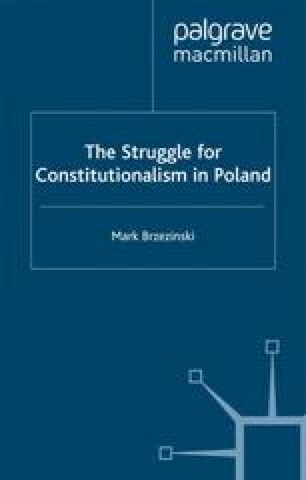 At first sight, it might seem that the recent emergence of constitutional rule in Poland represents a discontinuity from the nation’s earlier constitutional experience. It may be argued that effective constitutional government did not exist in Poland until 1990. Up to 1791, while Polish constitutional development resulted in greater freedoms and democracy for the szlachta, the Polish state remained a far cry from genuine popular sovereignty. During the inter-war period, the Polish state oscillated between a populist but ineffective and thus short-lived parliamentary government established by the 1921 Constitution, and a ‘guided democracy’ with strong executive authority working to secure a unified state.